Peep Show is a completely underrated sitcom. Whenever British channels make lists of “Greatest Ever Sitcom” or “Nations Favourite Sitcom” it will always be Dad’s Army, Only Fools and Horses, The Office or Gavin and Stacey which get the top spots. Peep Show may make the top twenty, or even the top ten but with the prospect of no more Peep Show ever now becoming a reality, it seems plain that it is much better than that. Peep Show isn’t a sitcom which is on our tv screens all the time. It isn’t played relentlessly or repeated ad nauseam so rightfully its return for one last season has become somewhat of an event. You would also be forgiven for thinking that after nine seasons and a format which hasn’t changed and a situation which is always repeated, the series would begin to fall short and feel stale. Luckily, season nine is as great as ever. All this is because the format hasn’t changed. 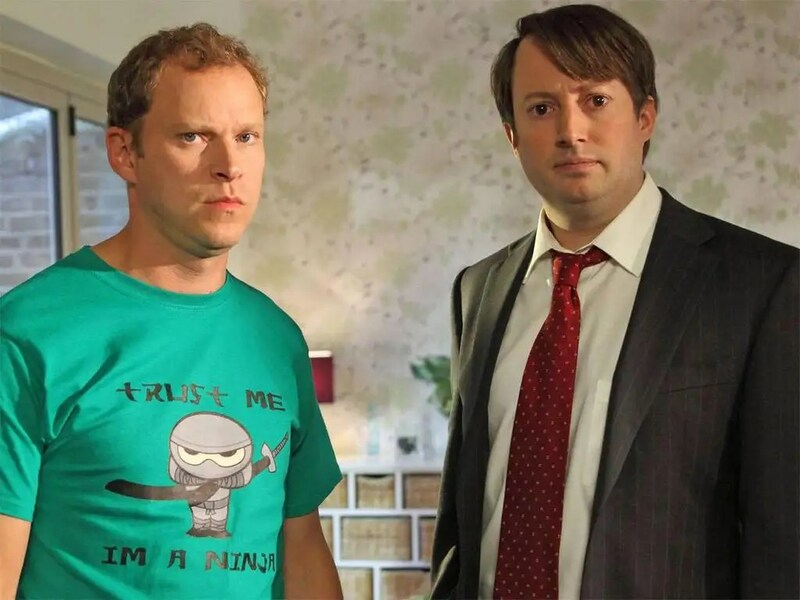 Peep Show’s USP was always that it was seen completely through the eyes of each character, with David Mitchell’s Mark Corrigon and Robert Webb’s Jeremy Usbourne being the show’s main vessel. This is also the show’s biggest strength because these two actors are brilliant. These roles made their names and although they have now gone on to other things, particularly David Mitchell, the way they manage to revert back to the oddball, hilarious personalities of these two dysfunctional men is merit to their acting abilities. This season sees them get themselves into deeper trouble than ever. The credit to Peep Show is the situations slowly increase in both stakes and hilarity. It may start out inconsequential but could end, as this season did, with a kidnapping, a potential bank robbery, and dinner party with awful food and a cocktail made from vinegar or a snake at a child’s play area. The situations are extreme without being too ridiculous and these two characters are always terrible and socially awful but you want to see more of them. The two main characters also have ample support from some great recurring and returning cast. 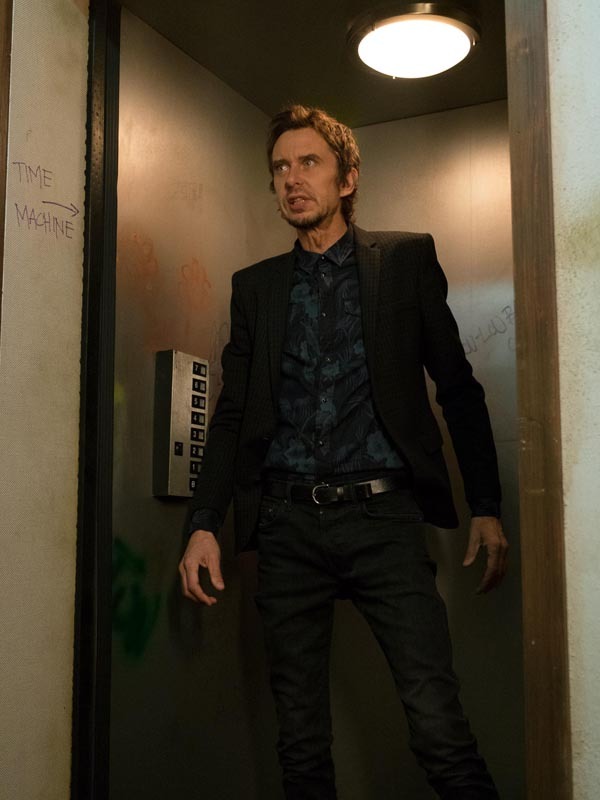 Matt King is always on hand as drug-addled, drunk addict Super Hans. His wedding is a particular highlight of this season. The unusual love triangle between Jeremy, a life coach patient and her boyfriend is another satisfying arc which finds Robert Webb throwing himself into the role full force. The nine seasons of the show has also built up quite a cast of characters who are onw famous in their own right. The last season naturally saw a lot of these return so we get Isy Suttie’s Dobby, Neil Fitzmaurice as obnoxious Jeff and a heavily under-used but always welcome Patterson Joseph as Alan Johnson. The crowning returnee is Olivia Coleman as Sophie. Her story is as dysfunctional as the two central characters and it’s great to see her back in the show. The fact that Coleman is now a big, television and movie star didn’t stop her bringing the drunk, unstable Sophie back in all her awful glory. Season nine felt like a suitable farewell to Mark and Jeremy. The fact that the episodes were not particularly special and didn’t seem that different to what had gone before was the testament to how good the sitcom actually is at it’s core. The best joke of all being that after nine seasons, the two men, who we have seen through marriage, kids and many awful situations, find themselves directly back where they were in the first episode. 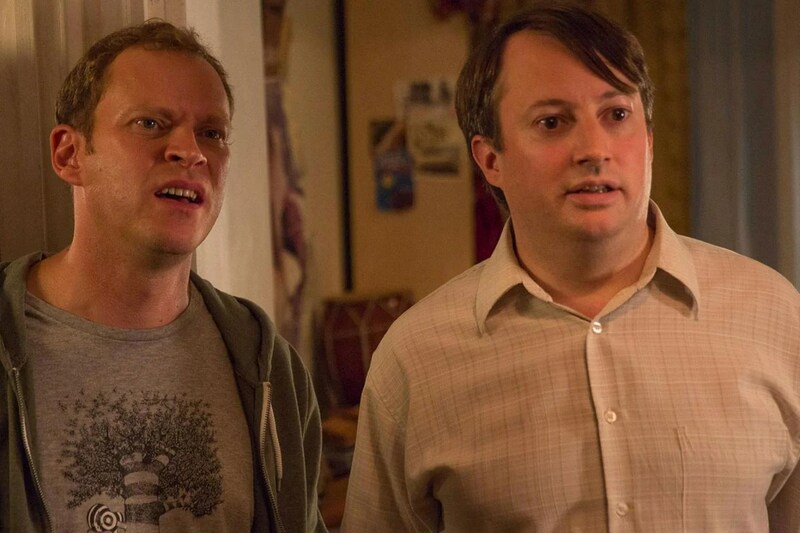 Overall, Peep Show season nine didn’t let the fact that it is the final season of the sitcom change the great formula which has worked so well. Instead it carried on putting Mark and Jeremy into terrible, awkward situations while a cast of returning and memorable characters made their presence known. More love should be shown to a remarkable and low-key sitcom which has always been of superb quality. Best Episode – Episode 6 (Are We Going to Be Alright? ): A fitting end to the season and the show. Very funny without being too grandstanding. Best performance – David Mitchell and Robert Webb tie as the central characters Mark and Jeremy. Should there be another season? – I would gladly watch more Peep Show but this is a good time to end. I can’t stand Gavin and Stacey. I haven’t seen this one yet, hopefully it makes it to my Netflix or some other feed sooner than later. I liked how normal the ending was. Seemed to fit the the style of the show. I’m sure it’ll be back at some point.